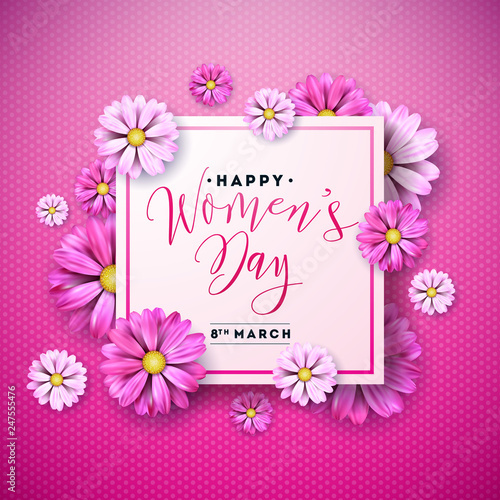 > Fototapeta>Tematy>Kwiaty>Happy Womens Day Floral Greeting Card Design. International Female Holiday Illustration with Flower and Typography Letter on Abstravt Blue and Pink Background. Vector International 8 March Template.